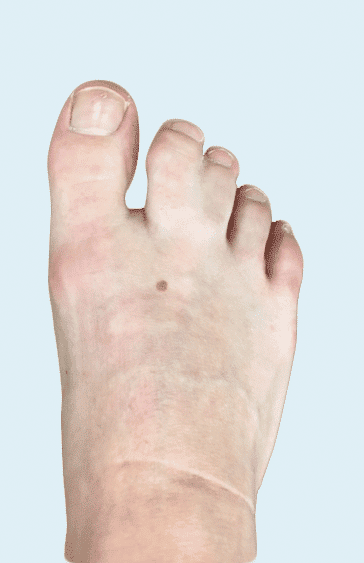 The syndactyly (so-called. ‘webbed toes’) of the foot describes a rare phenomenon, in which mostly the 2nd and 3rd toe of a foot are grown together. The development takes place in the embryonic phase, thus prior to birth. The toes are either connected only by skin (cutaneous), or by a bone bridge (osseous). 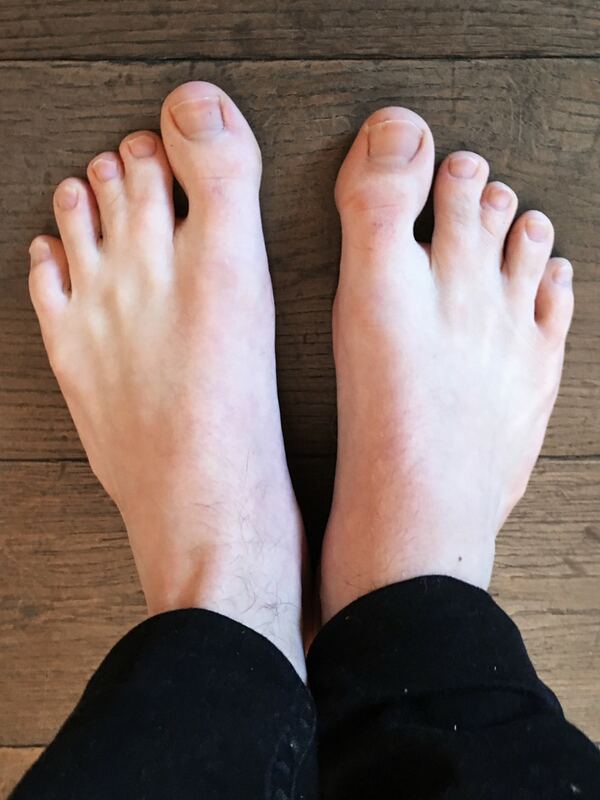 Physicians differentiate between a complete syndactyly (toes are totally grown together) and the incomplete syndactyly (only parts of the affected toes are grown together). 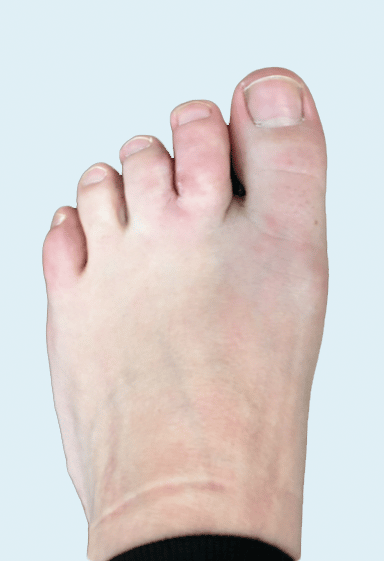 The syndactyly of the toes is a rarely occurring deformity. Only about 1 out of 2,500 people are affected. 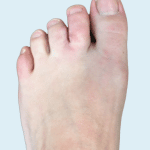 In most cases, a Syndactyly of the toes does not cause any physical restrictions. Syndactyly Correction Germany: Why Undergo Surgery? In some cases, webbed toes can cause psychological problems. When the affected patients feel uncomfortable with the outward appearance of their feet, they tend to avoid exposing them in public. In these cases, they might consider a surgical de-syndactyly. Medical professionals often hear the phrase: “I finally want normal looking feet.” The emotional distress, caused by syndactyly can often lead to reduced self-esteem. In addition to that, family members, friends and acquaintances might trivialize the problem, not understanding the actual suffering connected with webbed toes. 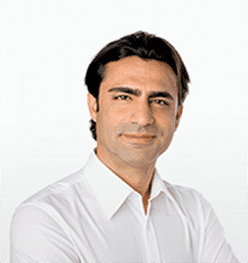 The modern surgical methods provided by cosmetic foot surgery offer valid solutions in these cases. The gentle operation techniques come together with a soft healing process and excellent results. Toe Separation Surgery: Which Methods Exist in Case of Syndactyly? In this surgical method, the separation of grown-together toes is accomplished by precisely separating the skin. This way, subsequent scars remain hardly recognizable. In the second part of the procedure, a new ‘fold’ is created between the separated toes (the so-called ‘interdigital fold’). This surgical method is used primarily in case of incomplete syndactyly. In case of low flexibility of the skin between the conjoined toes, skin grafting should be performed in addition to the aforementioned surgical steps. The place, where the skin is harvested, ultimately depends on the skin texture and is taken either from the bar or from below the lateral malleolus. Syndactyly operation for children: From which age on a de-syndactyly should be performed? Unlike in the case of a syndactyly of the hand, a syndactyly of the toes normally doesn’t have negative impacts on the motoric and cognitive development of the child. This also applies to learn to walk. Therefore an early operative de-syndactyly is not necessary and it is advised to wait with the syndactyly operation until the child reached adulthood and decides for him or herself if a de-syndactyly should be performed due to aesthetical reasons. Toe Separating Surgery: What Are the Prospects? The plastic toe separation in case of syndactyly is a very effective surgical method in order to create a natural and harmonious appearance of the foot. What aftercare is necessary after a de-syndactyly? Do you have questions about the treatment, the risks or the costs concerning the toe splitting surgery?